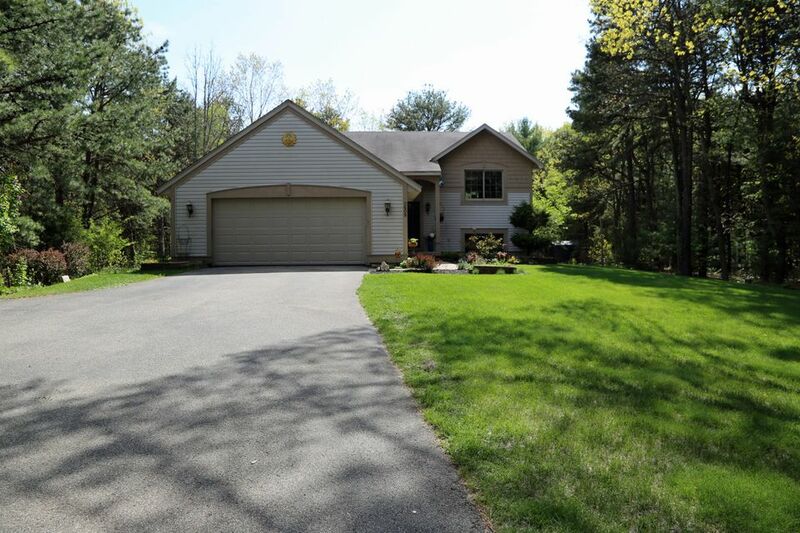 Enjoy peace and serenity on a 1 acre parcel at the end of a cul-de-sac in Tall Grass West. Well maintained 4 bedroom home with a spacious foyer, cathedral ceilings, lots of windows for natural light. Main floor has an open concept living room, kitchen, dining room, new flooring, large kitchen island, 2 bedrooms with full bath. Dining area has a slider to the top deck. Lower level features are large Family room with fireplace, 2 Bedrooms and full Bathroom, with slider off the Family Room to the patio. Your family will enjoy summer nights around the fire pit, and playing volleyball in the back yard. Tiered deck and decor pond are a bonus. This lovely home is a bike ride away from Lakeshore Elementary School, Riley Beach and Kouw Park. Only 5 minutes away to grocery, gas, restaurants.